October 2017: Her 8-carat engagement ring cost over $500,000. 11. October 2017: Her 8-carat engagement ring cost over $500,000. 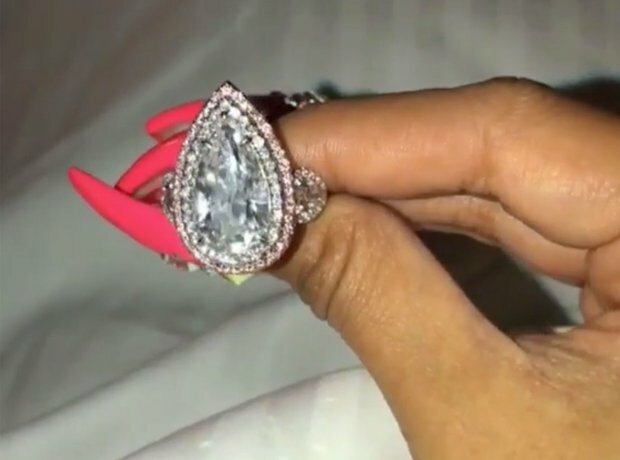 Offset spared no expense on his girl and her aptly-shaped 'raindrop' ring.